What a very lucky man that Corey Mohan is. Not only does he get to take this historical and beauteous voyage, spending days and weeks swirling through some of the best scenery to be had, but when he needs a little help from his friends, they show up. 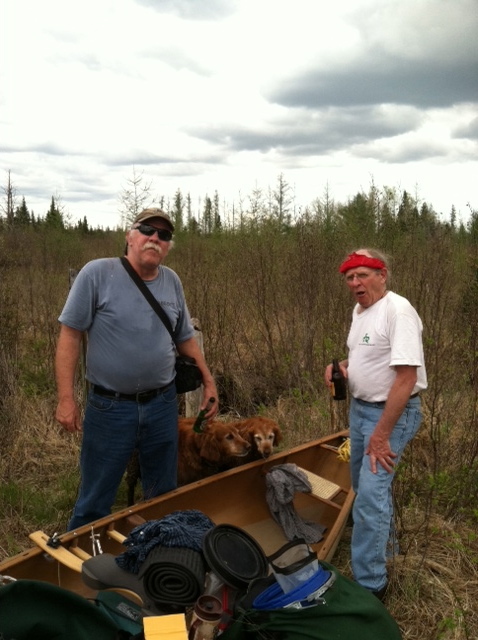 When Corey put out a call for a portage party Dan and Jim responded by driving to Solon Springs Wisconsin, pulling Mr. Mohan off the water trail, feeding him a great supper and letting him sleep in a real, live bed. 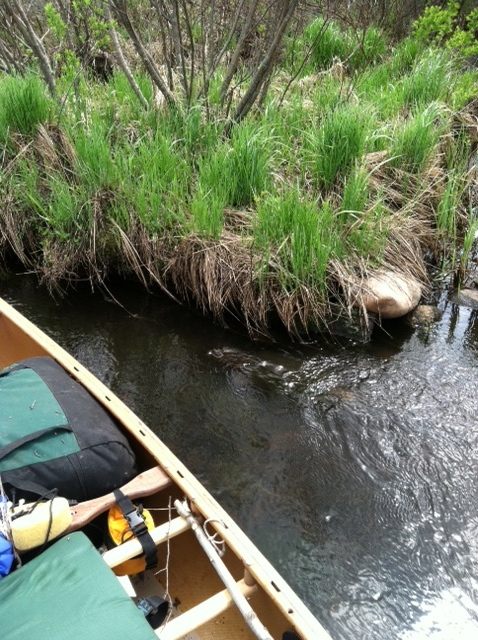 The next morning the three men and two dogs accomplished the St. Croix/Brule portage in near record time (that’s the truth, that is) and reinserted Corey into the next stage of his trip. I’m sorry to say I have no photographic evidence that Corey carried anything. But surely he did – a small bag of crackers perhaps? 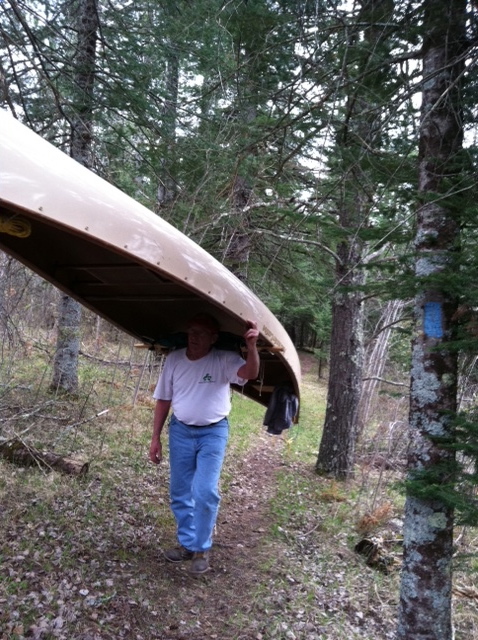 After realizing the beginning of the Brule was too teeny to paddle or pole, Corey got out and began to walk his way to Gitchgumee. 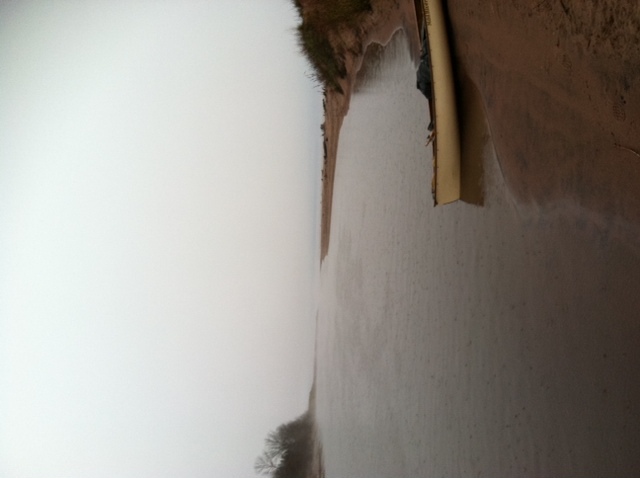 As the river widened and he was able to paddle, Pad2Mad soon encountered the classic and peaceful Brule scenery. 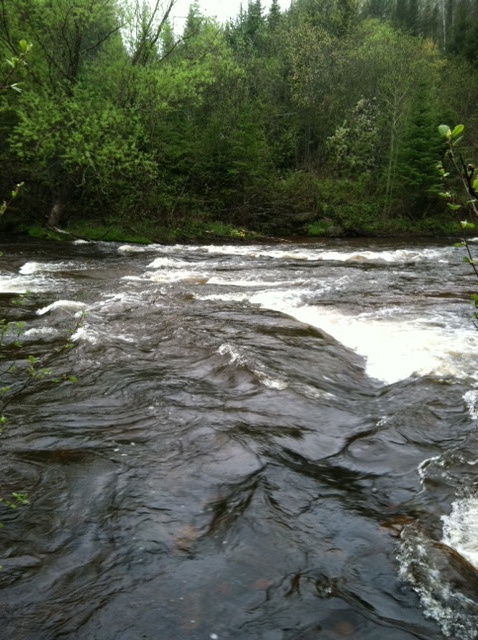 And then the not-so-peaceful Lenroot and Mays class three rapids. 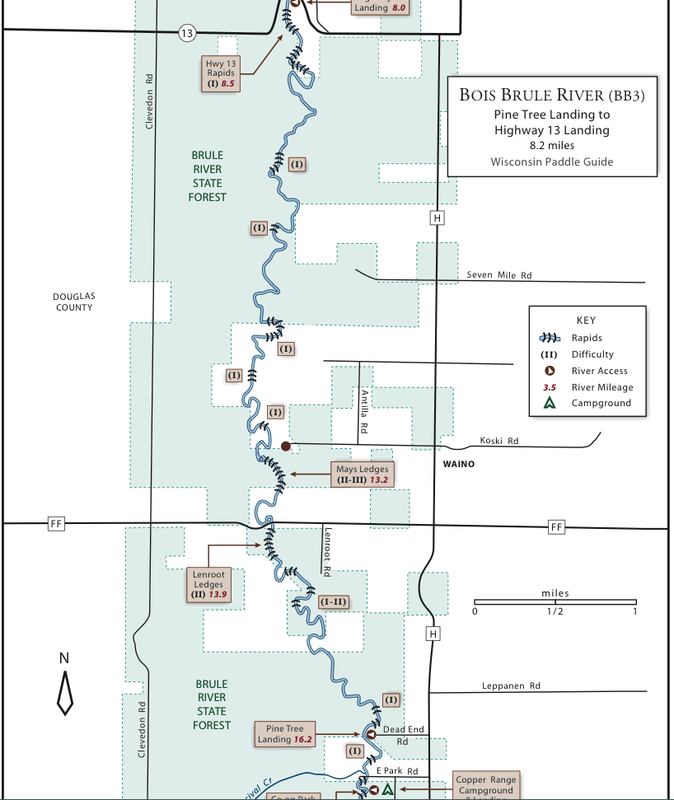 Here is a great guide to the Brule and other paddling rivers in Wisconsin. 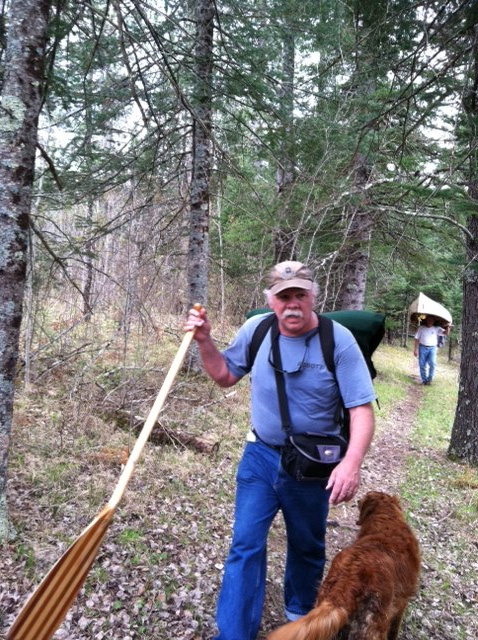 Corey tooled along the big lake, had lunch in Port Wing and continued on to Herbster. Look at these lovely photos of his evening there. Keep your fingers crossed for safe passage tomorrow, past the ice caves near Cornucopia. 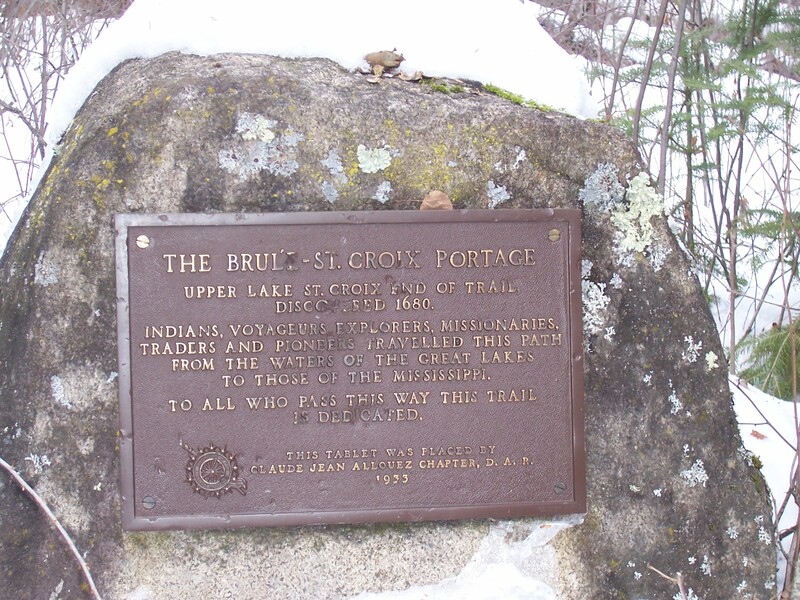 This entry was posted in Brule-St.Croix portage, Lake Superior. Bookmark the permalink. 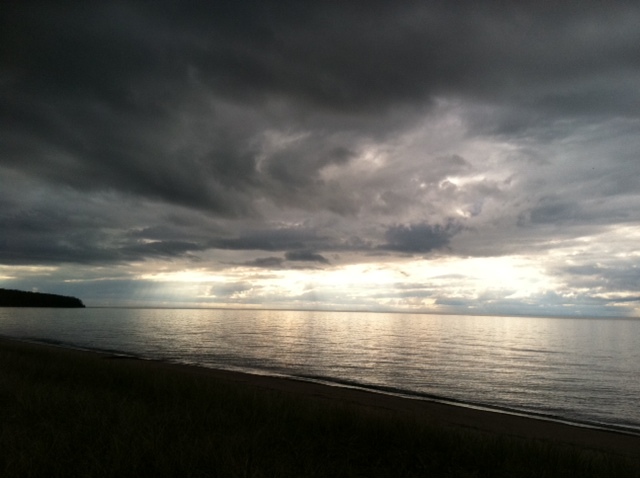 WOW – I got tingles seeing that photo of the Big Lake! Congratulations!! What an accomplishment! You look so happy and proud! Can I use some more !!?? Sure!! On second look – happy and proud and tired…. Good sleeping weather to you mate – wherever you be! I love all of the horizontal photos. Just beautiful! 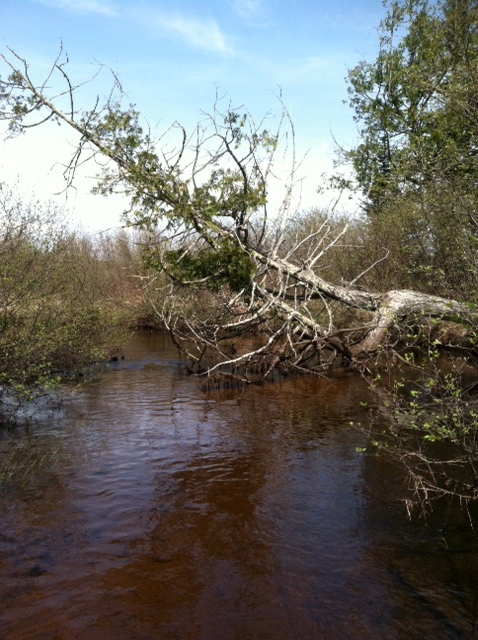 And the rapids look pretty wild this time of year. And still ice on the big lake??? Wow! Mother nature is amazing! I still haven’t edited your launch party and you’ll probably be done with your paddle before I have a chance to get to it. Way to go, ol’ buddy. 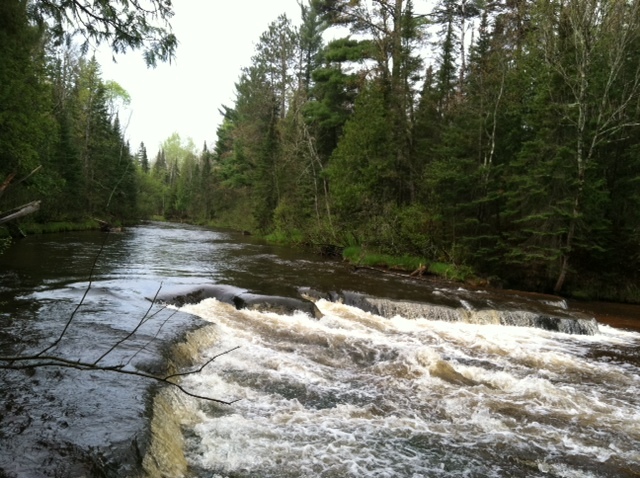 The shot of the mouth of the Brule is breathtaking. Yahoo! What a milestone, way to go, Corey. 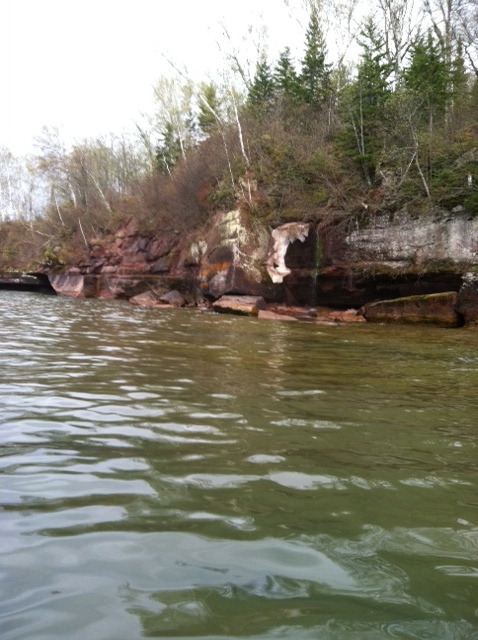 Coming into site of Superior must have felt extraordinary. We’re looking forward to seeing you this weekend. Next week we’ll start booking more Hula Pepper’s gigs! You made it to Superior Pa! Congratulations! Safe and sound. I had no worries of course. You’re a rare person to have friends to help you, and not be afraid to ask for help. I bet those crackers got heavy. We’re still in our mountain home watching the hills. It is QUIET here. I’m still worrying about that wild water on the river – I can’t believe you came through that. I think I better take another xanax before I think about crossing the shining big sea waters. 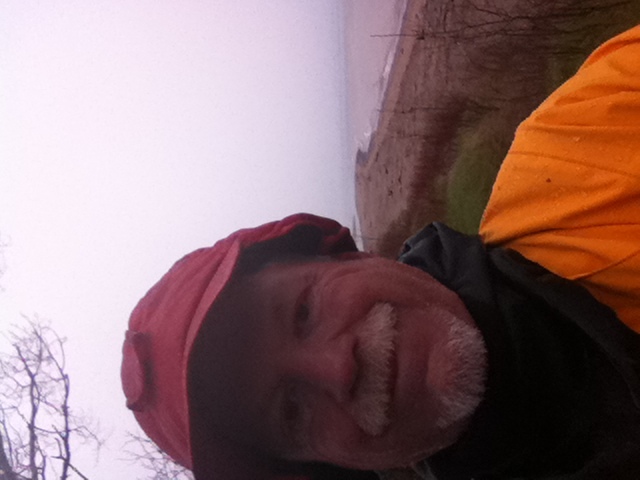 Congratulations on making it to the big lake. What a wonderful trip, and a major accomplishment that will be admired by many people. Earl couldn’t have said it any better. Who-ever said, “be bold and mighty forces will come to your aid” must have had you, Jim and Dan in mind. Thank you for taking us all with you on your grand, bold adventure. Congratulations Corey! 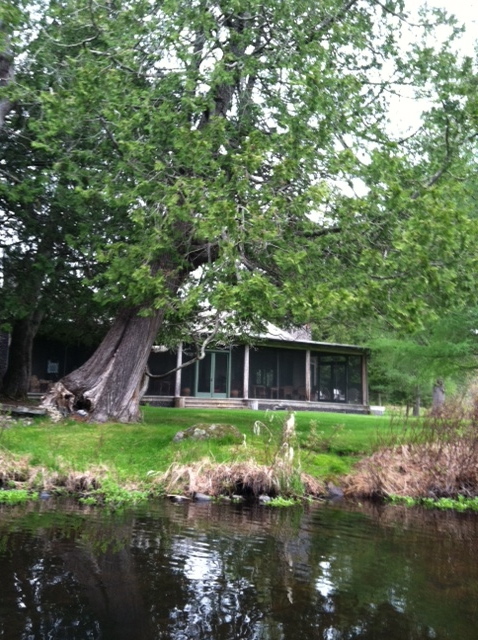 We are enjoying watching your trip from the confines of our home and laptops….where it is dry and warm and electrical. 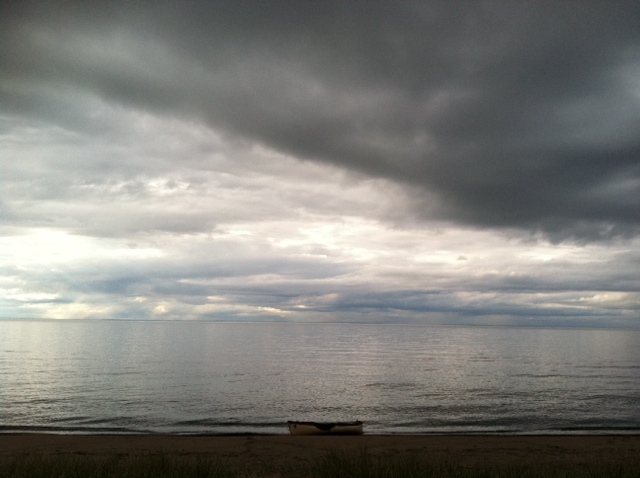 By the way, I think lakes hove all the time. Carry on friend! Congrats, Corey. Safe passage across! I had some concern for you last weekend with the heavy weather coming your way. I tip my hat to you sir, jolly good show! Yay! Corey! Congratulations! It’s all so very exciting and inspiring. Safe passage on Kitchi-gummi. Yikes! His bed was LIVE!! What what it made out of? Friends? 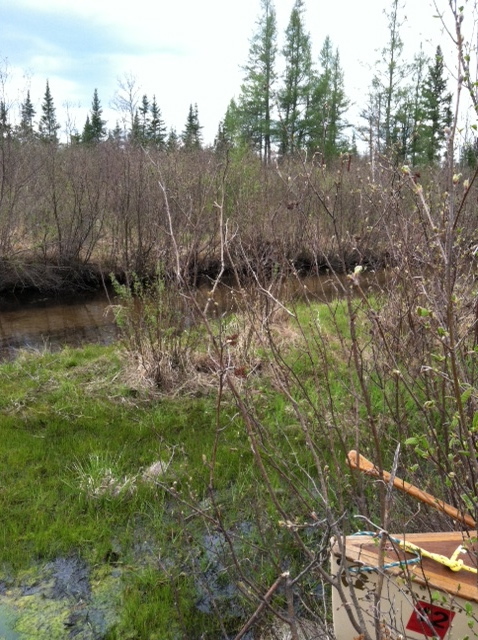 Are you coming back this way after you trap a few beavers? Well the lake hove for you, and that’s good enough. Good show Corey! What a trip! What?! What the hell are you gonna do next?! How ya gonna top this? Where are my slippers? Jeeves! OK, I am going to look up “hove”. I used to pride myself on my good vocabulary; it goes to show that one is never too old to learn. Or to paddle to Madeline 🙂 Amazing job, Corey! Breathtaking is the right word, in this case.